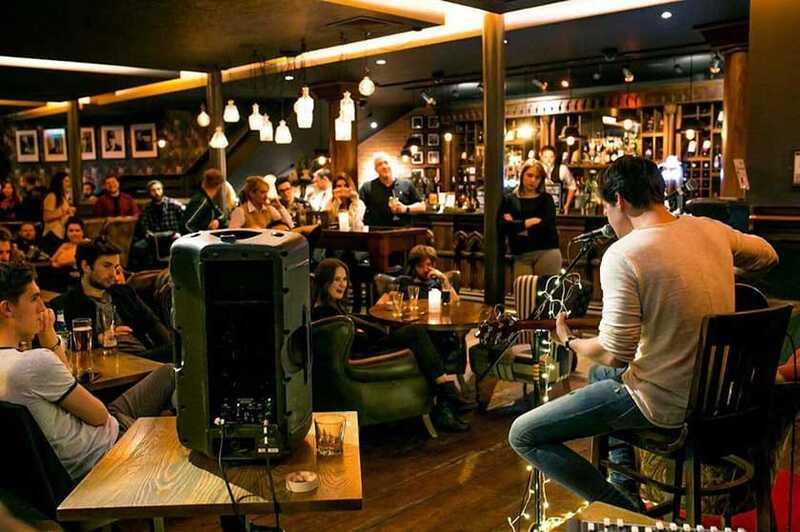 Manchester boasts plenty of open mic nights with a variety of music styles and venues. Open mic nights in Manchester are most commonly found on Tuesdays, Wednesdays and Thursdays in live music pubs. 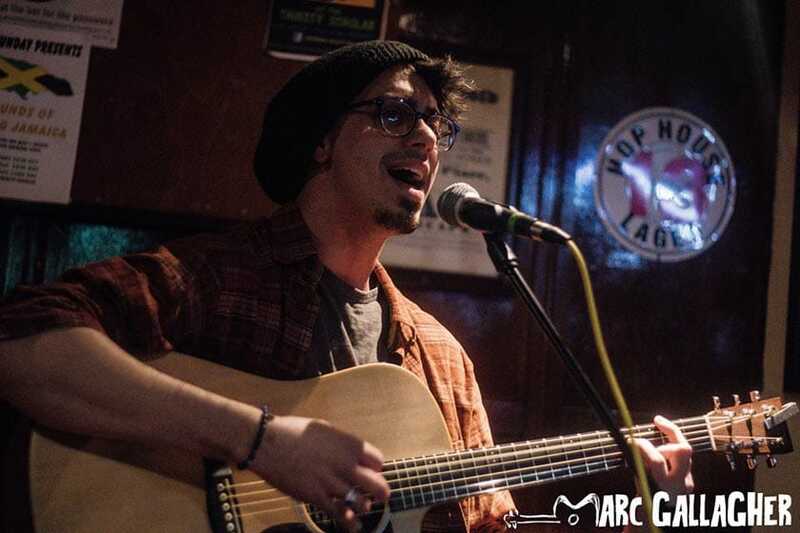 So, whether you’re looking for an inexpensive way to enjoy the local talent with your favourite drink, or perhaps to fill the stage yourself, Manchester open mic nights will provide the ideal experience for any and all tastes. Looking for an open mic night in Manchester? 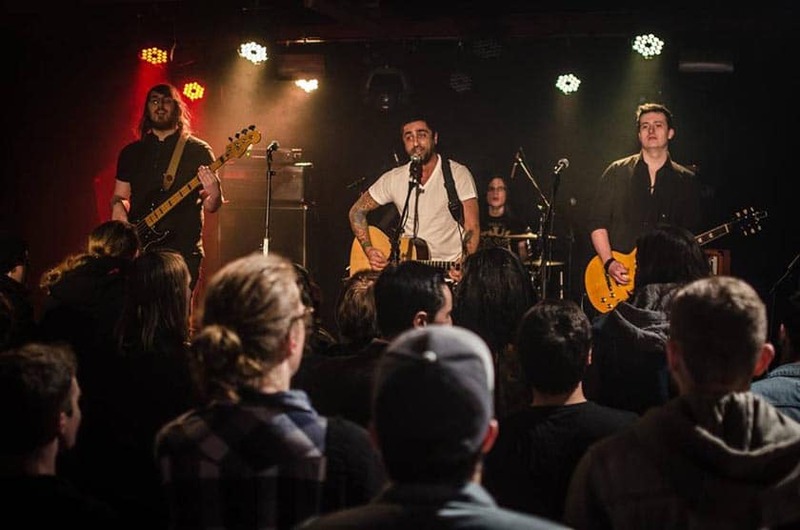 In no particular order, these venues attract the best of the city’s breakthrough musical talent. Click to see details: Which night? Tusk value their ‘little slice of Africa’ for its lively atmosphere and choice of cocktails ‘crafted with care and attention to detail’. 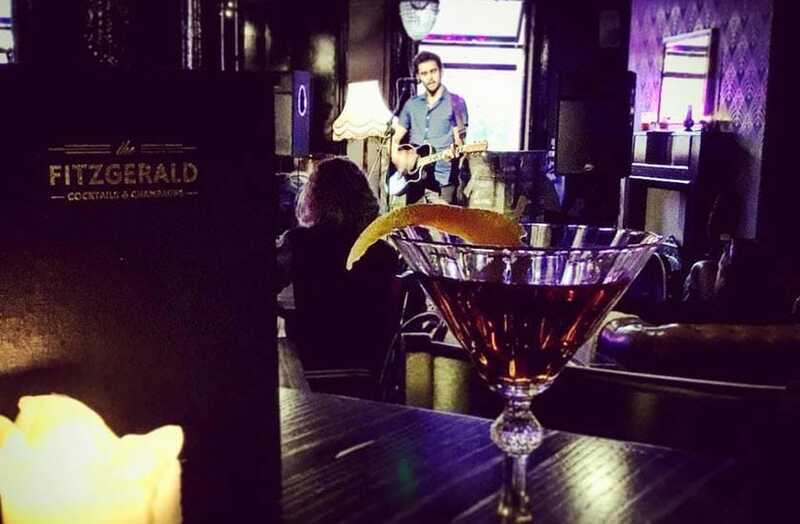 The vibrant, African-inspired interior and exotic drink selection, including ‘The King Louis’ and ‘Spiced Jungle Pump’ promise to invigorate the beginning of any grey week with a visit to one of their Monday night open mics in Manchester. The events are thoroughly inclusive: ‘we’ve got room on stage for everyone’– simply email ahead to pre-book a slot for the evening. Open Mic Night: Tuesdays from 7pm. This pub boasts a charming, quirky character, tempting vegetarian-based menu, and a truly unique location tucked beneath a railway bridge. 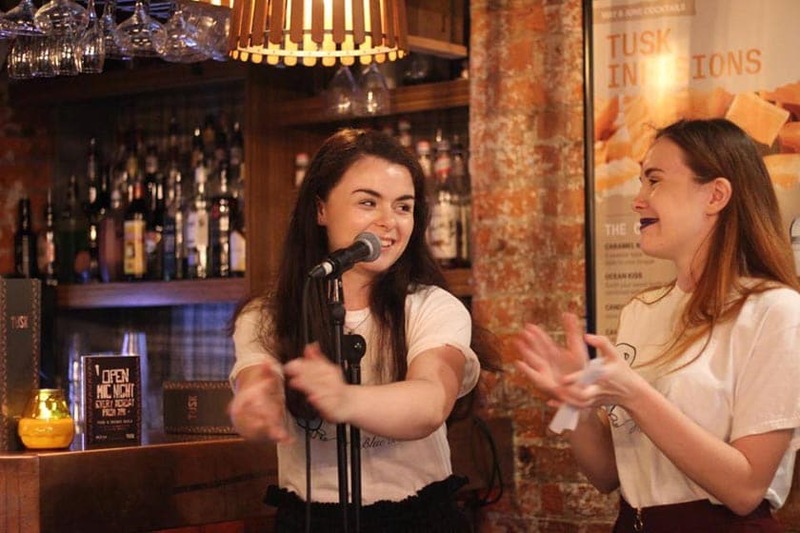 The Thirsty Scholar’s status as one of the most popular open mic venues in Manchester ensures that anyone keen to take part in a ‘Tuesday Tony’ can be guaranteed a receptive crowd and lively atmosphere. Artists of all genres are welcome to showcase their talent — inevitably producing a diverse spectacle for the audience to enjoy. 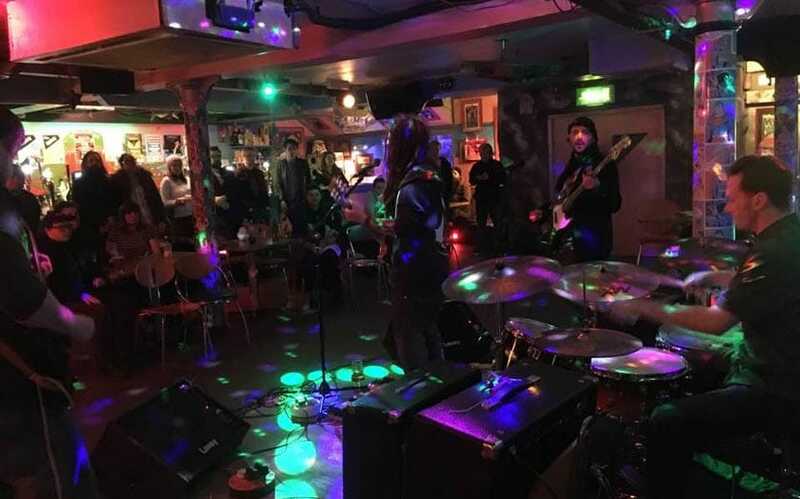 This chilled-out pub on the bank of the Irwell, Salford is a worthy mention to any music enthusiast — frequently playing host to a variety of events. The Old Pint Pot’s proximity to the local university and inexpensive drinks menu make it a popular destination with the student crowd, or anyone else seeking an economical way to enjoy a social atmosphere and quality music over a few drinks. Audience interaction is encouraged at The Old Pint Pot’s open mics, producing a lively, exciting vibe for both spectators and performers. Slots for the open mic are available or the night, or can be secured in advance with a message to The Old Pint Pot’s Facebook page. It’s popularity with the student scene ensures that Manchester’s Bierkeller can always deliver a lively atmosphere and great prices — even a live Oompah band on select nights. The long wooden benches that deck-out this Bavarian-bar make it easy to socialise with your fellow revellers, so it’s a great location for those who enjoy a louder, more up-beat setting. This might not offer the intimacy of other venues, but anyone who takes to the stage can be certain of an animated crowd to carry them along. Sign up at the bar on the night to secure your performance slot. Venue location: Bierkeller, The Printworks, Withy Grove, Manchester, M4 2BS. “A touch of Great Gatsby glamour in the Northern Quarter”. The Fitzgerald combines a luxurious vintage interior with an intriguing cocktail and champagne menu (served in authentic 1920s glass wear) to provide the ultimate atmospheric drinking spot. There is a shadowy allure to the back-street entrance — reminiscent of the Prohibition Era drinking dens of the Twenties and Thirties. 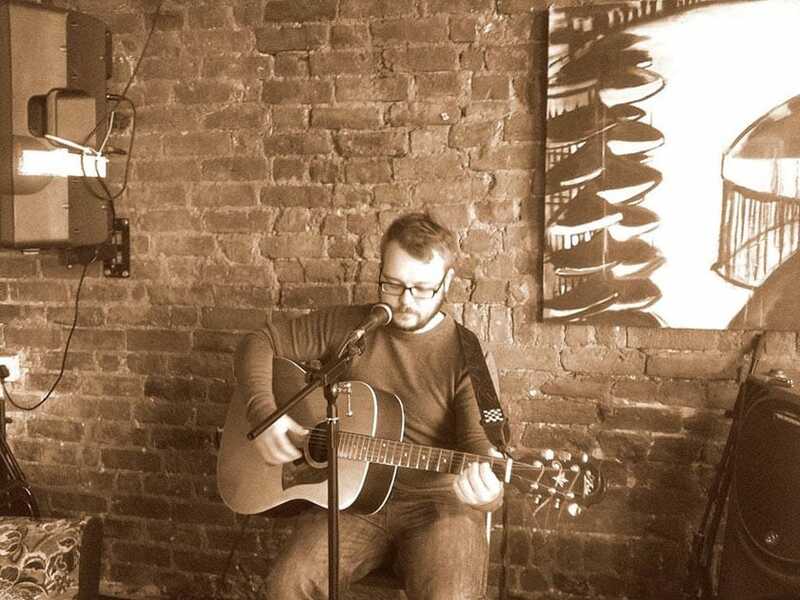 The open mic night is organised by Johnny Woodhead, who’s always happy to lend out his guitar, and a selection of technical equipment to help the performers produce the perfect the sound and atmosphere. After their set is finished participants are entitled to a drink on the house in return for entertaining the crowd. This aesthetic Victorian-listed venue is an unashamed celebration of British culture. Established in 1872, Sam’s Chop House was previously frequented by the artistic legend, and lover of Manchester’s industrial appeal, LS Lowry. The bar proudly claims to stock ‘The best value fine wines in Manchester’ (Gerard Basset, OBE, Master of the Wine) — the perfect accompaniment enjoying the live music. Entry to the open mic event is free, and even better, Sam’s-bar frequently offers promotional prices on drinks, available exclusively during the open mic, as well as a selection of superior-quality pub nibbles. So, Sam’s Chop House is the perfect venue for anyone who appreciates great British food and live music. This venue is perhaps best known for its somewhat time-worn, but nonetheless stunning chandelier ceiling. The antiquated décor continues throughout, including the gothic windows and a hefty bar, serving an excellent selection of ales. The Crown and Kettle is bound to impress those who savour the traditional pub feel. Their open mic events draw experienced artists and fresh talent alike to perform beneath the beautiful 18th century architecture. You can sign-up for a slot on the night from 7pm, then the music begins at 8pm. There’s even an in-house drummer available throughout the evening, and all performers are entitled to a free drink after their set! 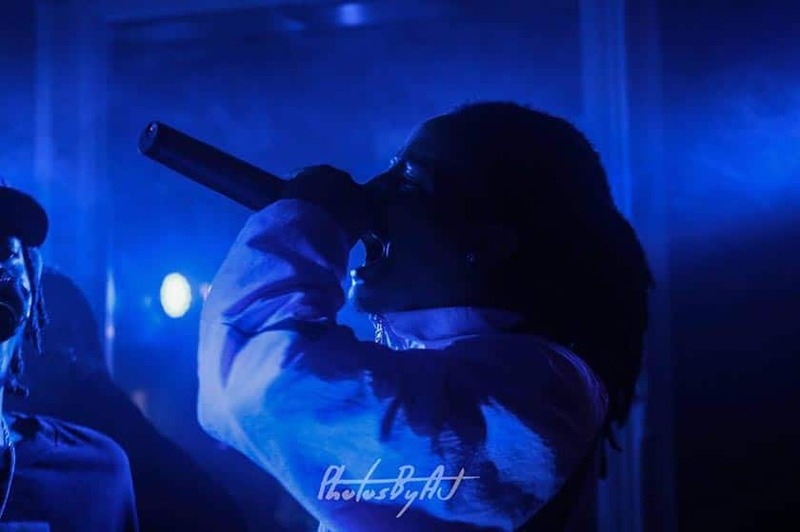 Ark Manchester’s PLTFRM (pronounced ‘platform’) offers a great stage for any local unsigned acts to build recognition and following — with the added appeal of half-priced drinks before 10pm, and £2.50 drinks after 10pm during the open mic. 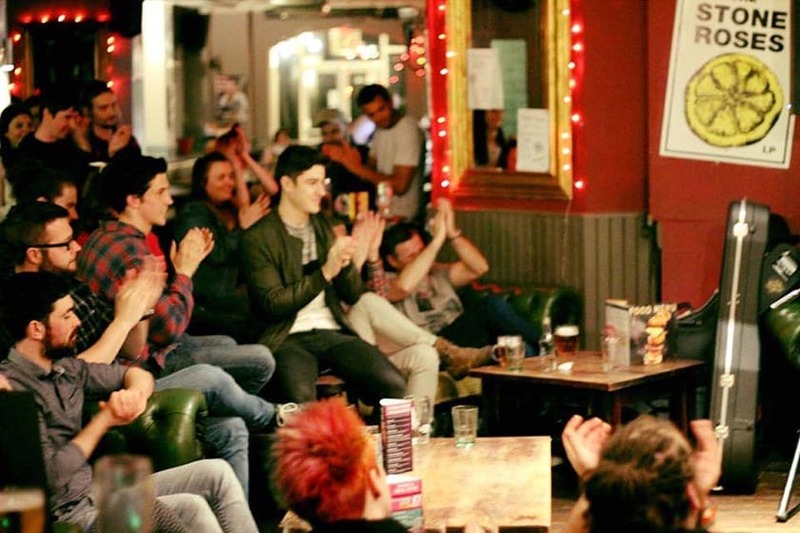 Ark is one of the largest open mic venues in the city, so getting onstage isn’t for the faint-hearted, but an enthusiastic audience and lively evening can be guaranteed for those who do. ‘The Roots vibe draws you in and holds you close, invites you to be seen, or sit back and just savour the beautiful African ambience that surrounds you’. This is another venue seeking to provide the antidote to the frequently grey, sometimes dreary British climate. Roots provides bold décor, a flavourful menu and a warm reception. 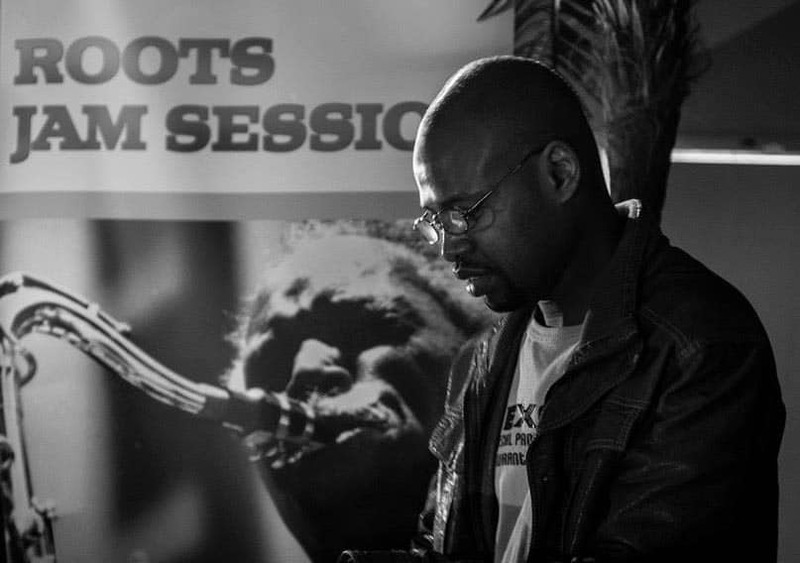 Any musicians are welcome onstage, but the Roots vibe especially celebrates the ‘funky, soulful and groovy’. Entry into the event is free and special drinks prices are available throughout the open mic. The kitsch and quirky décor of Fab Café TV/Film themed bar is totally different to any other drinking-spot in Manchester — or beyond. Since their opening in 1998, they have sought to provide the ‘ultimate antidote to the mainstream’, and continue to be passionate champions of Manchester’s alternative music scene with their ‘Sunday Sessions’. Entry is free; the evenings normally begin with an hour of open mic (usually acoustic sets, but not limited to) when anyone is welcome to sign up and perform. This is followed by the band section of the night, which showcases bands from all over the UK, and some even travelling from Europe. Venue location: Fab Café, 111 Portland Street, Manchester, M1 6DN. Want to perform? Email in advance to pre-book a slot. So now you know where to perform in Manchester there are no excuses for not getting out there and get performing! Have you considered entering Open Mic UK? Auditions are coming to Manchester!